Who is to blame for a construction site accident? The owner of the building or project site? The contractor running the project? Or the manufacturer of the equipment that caused the injury? The answer can be tough to ascertain; it depends on the nature of the injury and the specific details of the event. While construction accident injuries are not difficult to prosecute, they are very involved and may take time to resolve. Any construction zone is quite busy, and that flurry of activity means things can and do go wrong. Whether the contractor or team running the site has failed to maintain the required level of safety or other workers are not performing their job correctly, the result can be a life-altering injury with far reaching implications. How Do Construction Accident Injuries Happen on a Worksite? Familiarity with construction sites and how things should work allows a construction accident attorney to fully understand both the circumstances and potential negligence that led up to the accident, as well as the potentially devastating implications of the accident itself. Since construction work is physical labor, injuries sustained on the job site could result in a significant disability or the loss of income. Some construction accidents render the victim unable to work in their chosen field. A construction accident can impact your ability to earn a living and enjoy your life. If you have suffered an injury on a construction site, our team at Williams & Williams, LLC, can help. It’s important to be able to find hope and see a light at the end of the tunnel, even as you face a serious injury. During this time of stress and uncertainty, it makes sense that you need a knowledgeable, qualified legal team to provide legal advice and support. You don’t have to go through this process alone. 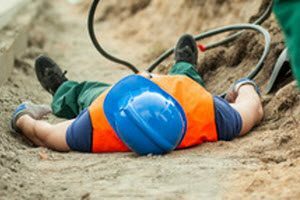 Have questions about construction site accidents? Contact our legal team at Williams & Williams, LLC, and take the first step toward getting the help you need. We guide you to do all you can to ensure you receive fair treatment and compensation from your employer.